We are living in the age of anxiety. It is now the most common mental disorder in Australia – one in four Australians will experience an anxiety disorder during their lifetime – and medical practitioners are now more likely to diagnose a range of symptoms that may have once been dismissed. I deal with anxiety on an almost daily basis and have recently been struggling internally about how I should treat it. Should I get a prescription from the doctor? I must admit, the idea that I could instantly cure the daily heart palpitations that occur whenever I consider every minute aspect of my life is a tempting thought, however when I hear the words Prozac, Xanax, and Valium it fills me with a whole other feeling of dread. This is where I discovered that meditation is often recommended to help reduce anxiety. Mindfulness meditation has long been known as an antidote for anxiety, but it wasn't until relatively recently that meditation was proven to reduce anxiety at a neural level. It also has a whole host of other benefits: improving your memory and productivity, to stress and pain relief. 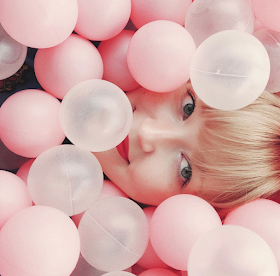 I'm not really a follower of the rise in the whole mindfulness movement - I have a whole host of issues with the money-making side that I won't delve into here, but I was definitely intrigued by how meditation could help me. This is where the app recommendation comes in. 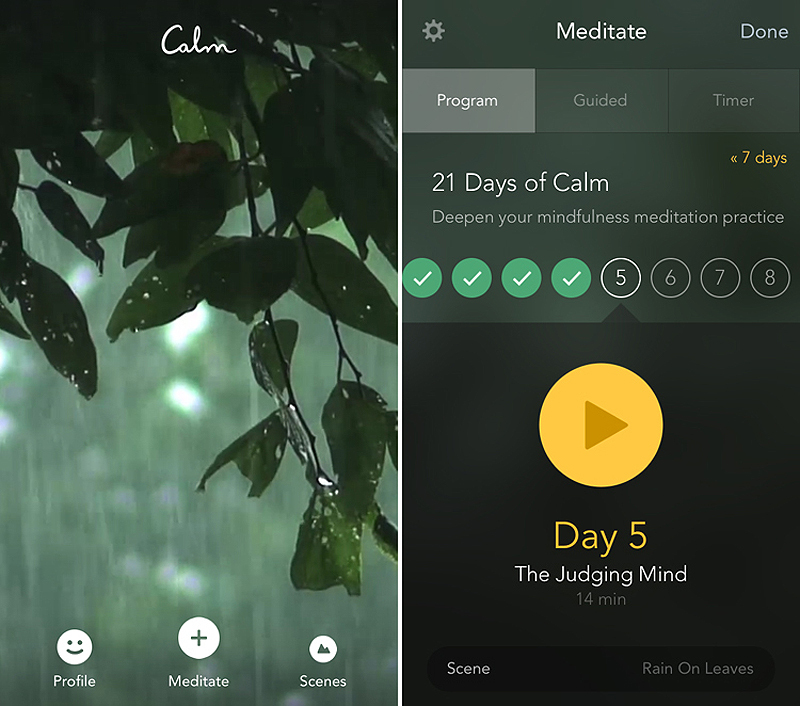 Calm is an app that is a great introduction to meditation, with a variety of guided sessions such as the 7 Days of Calm (with more available if you become a subscriber). There are a series of different natural sounds such as ocean waves, a mountain lake, and rain to provide peaceful background noise during your practice, of which a calm voice will guide you gently through. I began with the 7 Days of Calm, a perfect way to ease into the routine. 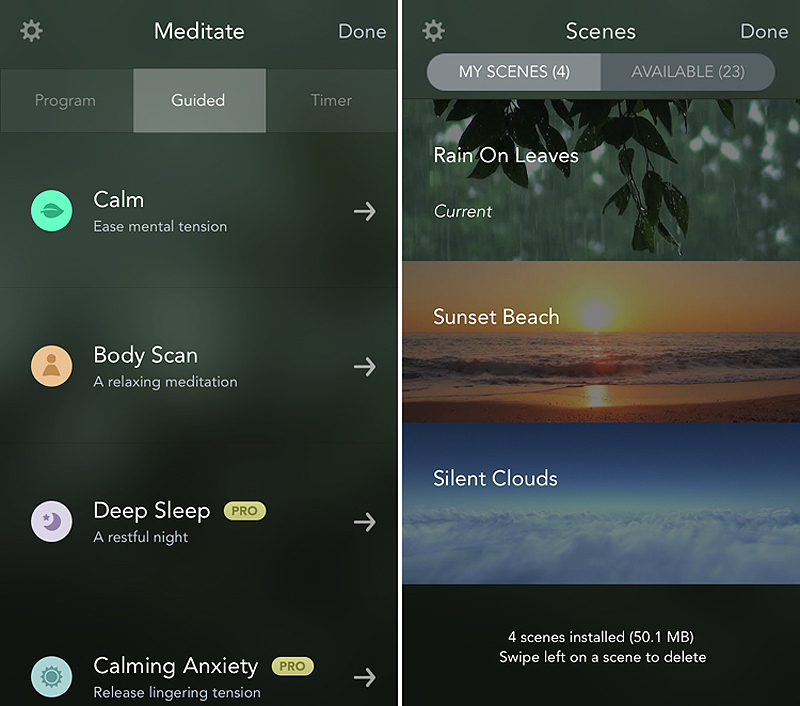 I enjoyed it so much that I then subscribed to have full access to the app, which opens up more specific practices to aid in deep sleep, inner peace, self-acceptance, amongst others. Over the past two weeks, meditating has become part of my morning routine. Taking even 10 minutes out of your day to switch off your mind is incredibly beneficial and I'm starting to feel the benefits for doing so. 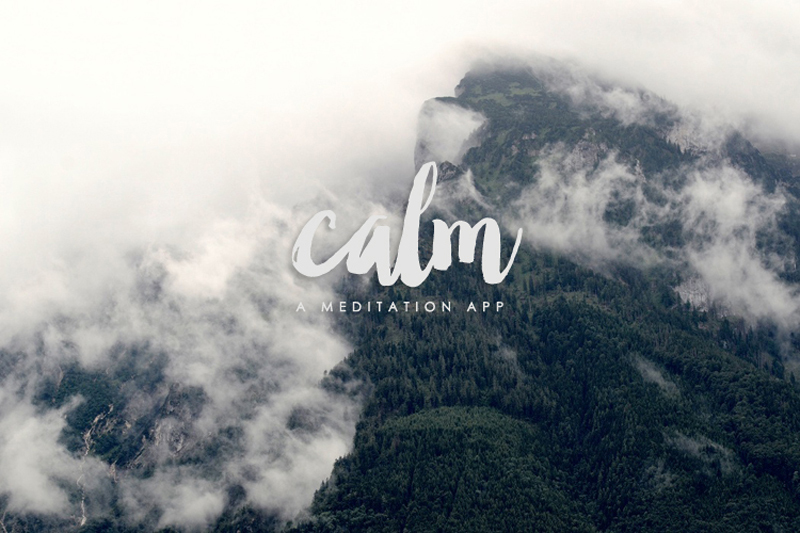 I believe there's a whole range of meditation apps out there, but I can definitely recommend Calm if you're looking for a place to start.